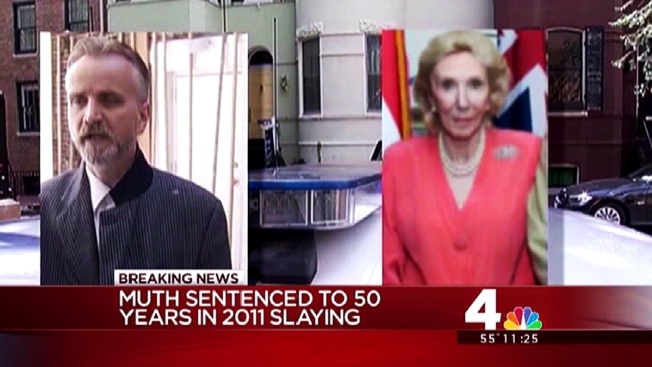 A man who was convicted of murdering his 91-year-old socialite wife -- after gaining notoriety for pretending to be a count, an army officer and an Iraqi general -- was sentenced to 50 years in prison Wednesday. Albrecht Muth, 49, was convicted in January of murdering his wife, Viola Drath, in the couple's Georgetown rowhouse. Muth told police his wife had fallen, and claimed his wife's death was an Iranian hit job. Muth also staged hunger strikes while in prison. But the medical examiner's office concluded her death was a homicide, and a jury agreed. Prosecutors called Muth a "career conman" and "serial wife-abuser." They said Muth should be sentenced to life in prison.